Clean drinking water is a basic human need, and its availability is a critical factor for reducing water borne diseases. Water used for drinking should be treated and disinfected before consumption. Water used for drinking should also be professionally tested for quality as there may be concentrations of naturally occurring elements such as arsenic, uranium, or nitrates, which exceed health criteria. It is estimated that more than 60% of the population in remote areas is without access, or have inadequate access, to clean drinking water. Water is drunk directly from rivers and streams without being cleaned, or it is collected and boiled. In developing countries, impure water is responsible for 2.5 million deaths per year. One of the biggest challenges facing about 1.6 billion people living in remote areas living in the world is the lack of sustainable energy supply ( energy that is accessible, cleaner, more efficient and affordable ) for services such as water pumping and treatment. : A clean sustainable solution to provide clean drinking water to remote areas. The system results in the lowest cost of production of drinking water meeting WHO standards. The system can be used to provide bottled water in recyclable plastic bottles to remote village households at an affordable price. Regen is also able to combine power and water supply- in which case most of the water pumping and treatment will occur during the sunshine hours. The battery storage requirement will be minimised in order to cut down on the capital cost. Remote villages with difficult access to clean drinking water, where piped water systems will not be established in the foreseeable future. RO has become the first choice for water purification due to its low operation cost, no pollution, easy and reliable operation. Our RO System includes a high-pressure pump to guarantee sufficient flow rate through the RO membrane. The inlet & outlet pipes are made by stainless steel, allowing a flow rate of 15 cubic meters per hour. 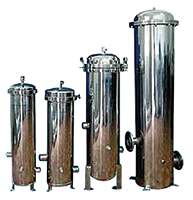 The plant is equipped with high-pressure & low-pressure protectors. The sterilization system consists of Ozone actuator and a Ultraviolet (UV) tube. UV treatment of water inactivates pathogenic micro-organisms that cause E-coli, cholera, typhoid, dysentery and hepatitis. Ozone treatment is also able to remove organic and inorganic material, iron, manganese and sulphur. This is secondly used for the disinfection of the pipelines between treatment and the delivery nozzle. Ozone will oxidize and decompose the enzyme which can form the glucose to maintain bacteria. The ozone actuator can ionize air to produce ozone which is further mixed with water through Venturi ejector. By using these sterilisation techniques together, we ensure highest water quality. The complete system is compactly mounted on a trailer which can be towed by a pick up truck to any convenient location. Having all of the electrical power and water treatment equipment located in one trailer makes the system operational instantly and there is no need to gather and organize additional supplies. Water from rivers, lakes, floods, broken water mains and most freshwater sources can be purified into clean and safe drinking water making it ideal for remote areas.